Thanks to a Portuguese sailor’s description of the native Tehuelche people as “Patagones” or people with “big feet”, Patagonia has since been known as the land of the giants. Quite fittingly, this remote southern region symbolizes everything on a superlative scale and is famous as the land of mountains of giant proportions and landscapes so overwhelmingly sublime that they must be seen to be believed. Wherever you visit, Patagonia maintains an elusive, secretive charm. Its barely-known history, barren yet picturesque mountains and grasslands and windswept coastlines teeming with precious wildlife never fail to astonish. If it’s not already, these following four reasons prove why it warrants the lauded spot at the top of your bucket list. You don’t have to go far to encounter Patagonia’s plethora of animals. Find the largest colony of Magellanic penguins in the world in Punta Tombo, on the Argentine coast, or King penguins at Bahía Inútil in Tierra del Fuego, Chile. Elephant seals lounge on beaches on Argentina’s Valdes Peninsula, while rare sightings of orcas are also possible here. Beyond these marine mammals, the Patagonian plains are as abundant with life as the ocean. The wild cousin of the llama, the guanaco, is spotted grazing on meadows of steppe and scrubland, while pumas are tracked and encountered within Chile’s Torres del Paine National Park. Patagonian history is rich with the legacies of the many humans who have visited and lived upon these shores. Some of the most captivating examples of Patagonian history are the hunting scenes and stenciled handprints of the native nomadic Tehuelche people that cover the walls of La Cueva de Manos (the Cave of Hands) near the town of Perito Moreno. Deep in the Patagonian south at the museum in Wulaia Bay, it’s also possible to learn about the Yámana aboriginal people who once lived here and how their history intertwines with the European missionaries who landed centuries ago in Patagonia. But at every corner of this vast landscape, a diverse, sometimes untold history is waiting to be heard. Sir Frances Drake gave his name to the Drake Passage beyond the “End of the Earth” at Cape Horn and the Welsh settlers preserve their proud Welsh ancestry, language and customs in Puerto Madryn. Butch Cassidy and the Sundance Kid also came to Patagonia and left infamy – along with a log cabin in Cholila and the cowboy trail in the Cochamó Valley that they used to drive their cattle across the Andes. While Ruta Nacional 40 in Argentina might run the length of the country, it’s in Patagonia where it reveals its true brilliance. Combined with Chile’s own Carretera Austral (or Ruta 7), these incredible highways wind through the glorious Patagonian landscapes, and those with the time for a leisurely drive along these roads are never disappointed. Pristine virgin rainforest and powder-blue hanging glaciers are a short walk from the Carretera Austral near the Puyuhuapi stretch. Halting to appreciate vistas of placid, sky-reflecting lakes such as Lake Nahuel Huapi near Bariloche, will make you feel like you’ve stumbled upon Patagonia’s most magical secrets. Most visitors to Patagonia come for the nature, which is made up of a jagged skyline of snow-fringed peaks, enormous, empty plains and sweeping vistas of desolate ocean. Whether it’s sunrise looking up at the sharp, towering columns of the Torres del Paine in Southern Chile, boating through multi-colored marble in the caverns of Lago General Carrera or ice-climbing on the magnificent El Perito Moreno Glacier in Argentina, the landscapes are as mind-numbingly brilliant as they are huge. While at points it may seem barren, windswept and inhospitable, Patagonia is a tour de force of magnificence. Juxtaposing lush, temperate rainforest in the northern regions against immense, hanging glaciers in the south, and vast, golden grasslands in the Argentine east against silent channels and fjords in the Chilean west, it is hard to find a more diverse region. Patagonia might exist at the ends of the earth, but is always at the very forefront of the minds of those hoping to travel to the most incredible destinations on Earth. Looking to plan your once-in-a-lifetime vacation to Patagonia? 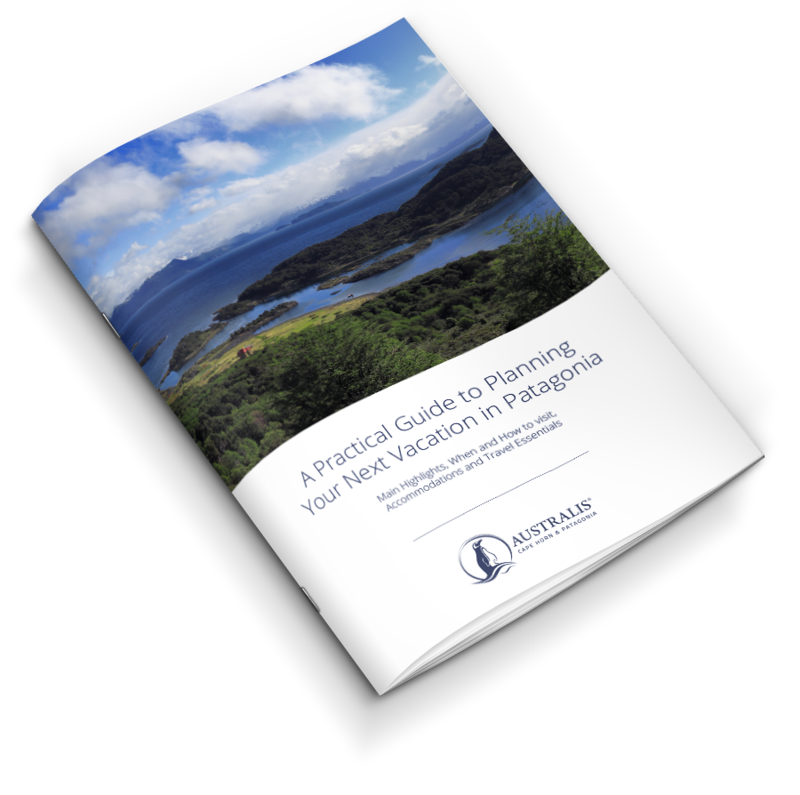 Don’t miss our practical guide to Planning Your Next Vacation in Patagonia.